At SyndiGate Media, we power content programmes for brands. As a full-service content agency, we work with companies across a variety of industries on their content strategy and implementation, content creation, distribution and analytics to ensure targeted, relevant and successful campaigns. We believe that licensed content - syndicated content available for re-use - is integral to almost all content marketing programs. According to the Content Marketing Institute, consumers engage with on average 11.4 pieces of content before making a purchase. Through our extensive experience working with brands across the MENA region, we know that although budgets are tight, the demand for content doesn’t satiate. DISCO Content Marketplace enables brands to scale content production, cut content production costs and build thought leadership through licensing content from trusted, reliable publishers. In addition to this, we can combine original content with licensed content to engage audiences in channels such as newsletters. As Head of Content Programs, I wanted to share a few publishers that my team and I find to be invaluable to some content programs - whether it be to publish the licensed content, use for research or to draw inspiration from when devising content strategies. Visuals, with colour, increase people’s willingness to read and engage with a piece of content by 80% . Integrating illustrations, vectors, images and other visual components to your content marketing is therefore essential for reader engagement. However, as well as thinking about the right type of visuals for your story, you need to pay particular attention to driving the right conversions from your content. Involve designers in every phase of your visual content creation process and the results will certainly prove fruitful. We’ve done extensive work with Dubai Tourism and are heavily reliant on UGC visuals from Lobster. Through smart AI tagging and machine learning algorithms, Lobster finds the most relevant, aesthetic content around the world. Each project is different and for Dubai Food Festival for example, we utilised licensed content for imagery from Shutterstock’s STOCK FOOD. There are some great visual libraries and you should definitely consider Alamy, Magnum Photos, Tetra Images and Twenty20 Stock depending on the ideation strategy of your content program. The content marketing ecosystem, especially for the financial services sector, is a revenue engine. Licensed content is just one stream in the overall programme that will retain and engage with audiences in the long-term. Established financial journalists and independent finance experts are naturally trusted as authors of financial content. Teaming that content with licensed content provides additional value conveying name recognition with legacy publishers such as The New York Times, Forbes, Bloomberg and Investopedia to name a few. Financial services companies have a tremendous opportunity to build thought leadership through the strategic use of content. Why does a company like GE invest in podcasts? And why are advertisers spending over $35m a year on podcasts in the last 12 months? Let’s go to 2016’s IAD-Edison Research Advertising Study which states that 65% of podcast listeners would consider buying a product they learned about while listening to a podcast. In addition, listeners also said that a podcast advertisement would lead to them visiting the sponsor’s website (45%) or seeking additional information about the product or company (37%). 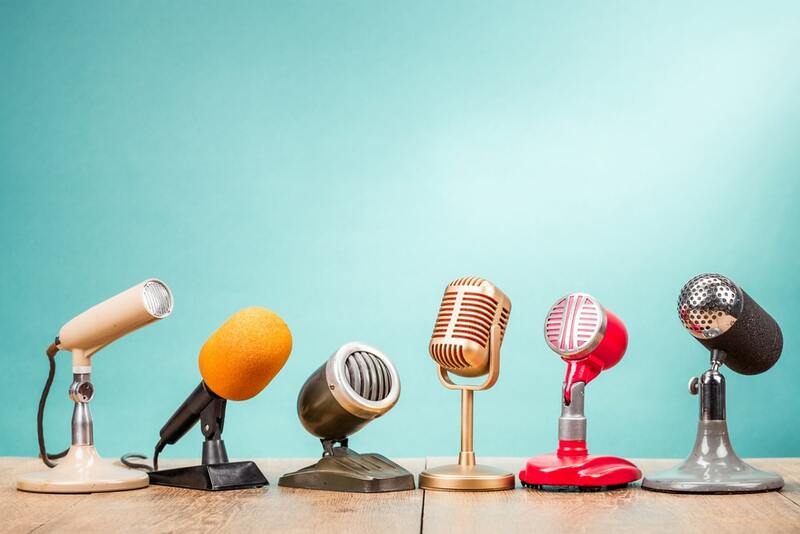 Investing in branded podcasts isn’t going to enable you to reach millions of listeners, it will however provide your brand with the opportunity to resonate with a highly engaged and captive audience. A typical podcast can last thirty minutes so once you’ve built an audience you, as a company, have a valuable set of brand loyalists. Podcasts, from scratch, are expensive to produce. And let’s not forget about the investment of time, a high-quality podcast series can take up to three months in pre-production. DISCO Content Marketplace offers an opportunity to license ready-to-air podcasts such as The Gateway - A Podcast from the Middle East. Consumption of content, as you’ll see on any brand’s analytics reports, is veered towards mobile. And this is even more true for video as a mammoth 83% of mobile data is consumed streaming videos. Mobile video is still relatively new to B2B marketing and there will be challenges starting out as we learn and adapt our content strategy based on results. However, those who master mobile video sooner rather than later will have a huge advantage. Your average prospect receives hundreds of emails a day - that’s a lot of clutter and video is the best way to cut through all that noise. A recent Vidyard study shows that prospective leads who view video are 85% more likely to purchase compared to those that only view text and static images. And if you want to reach the C-Suite, according to the same Vidyard survey, 51% of executives under 40 made a purchasing decision after watching a video. At SyndiGate we utilise a host of providers, sometimes to use as part of a ideation session, to see what type of content is out there and take inspiration. There are a plethora of great video content providers, whether it’s fitness videos from Zoomin TV, highly stylised fashion and beauty videos from Vogue ME, Arab celebrity news through Al Bawaba Entertainment or breaking news from a diverse selection of providers in the DISCO Content Marketplace library.